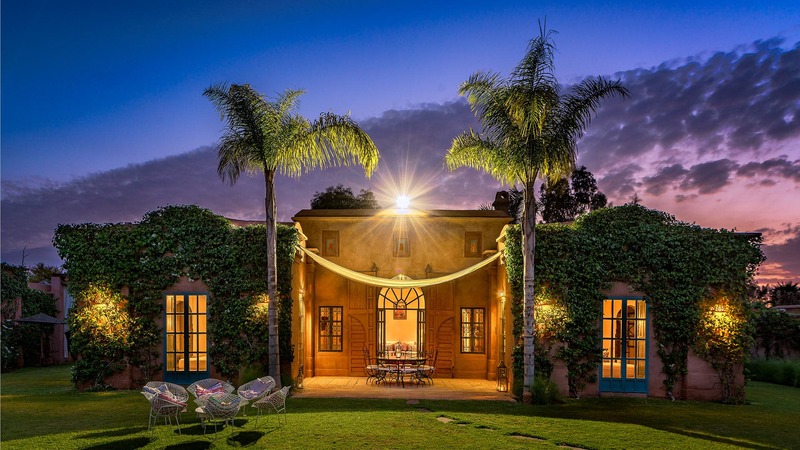 Just 20 minute drive away from the famous Jemaa El-Fna square and its colourful souk, Villa Mafalda is the perfect place for peaceful holidays. We have paid meticulous attention to interior design and finding the perfect furniture to showcase the best of Moroccan handicraft. We have added modern touches while still respecting the original design and architecture by acclaimed architect, Charles Boccara. Every room has been carefully thought through to create harmonious and serene spaces. 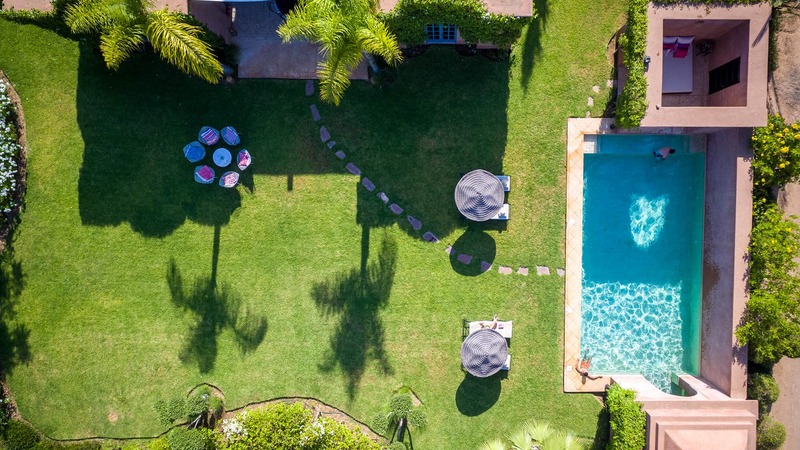 Villa Mafalda is brought to you for rental on an exclusive 'Hotel-Villa' basis where you will enjoy the entire property at your leisure. 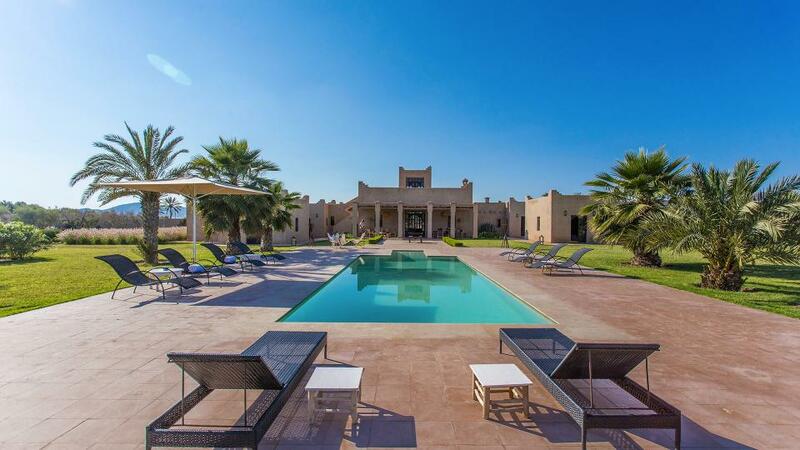 This stunning mansion is part of a small collection of luxurious villas, the Domaine de l'Akhdar. It is a managed, gated and secure complex of 20,000m2. 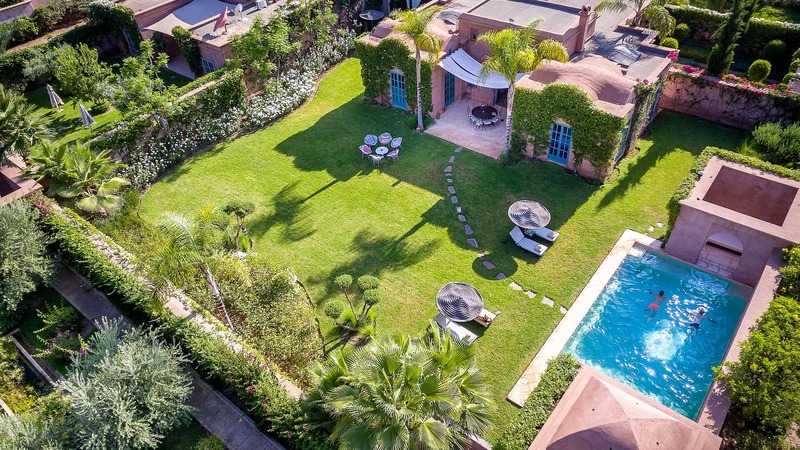 'Andalusian Alhambra-style' gardens have been created between the private villas and each house can freely enjoy the use of the pool house, a large swimming pool and a tennis court. Room, Ground level. This bedroom has 2 twin beds configurable as a double bed. Bathroom ensuite. Room, Ground level. This bedroom has 3 single beds. Bathroom ensuite. 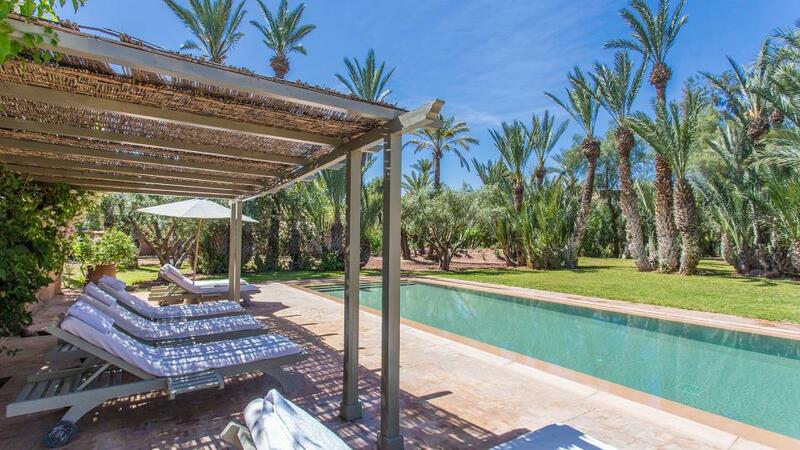 Villa Mafalda is immersed in mature gardens, which feature bougainvilliers, fragrant roses and palm trees. 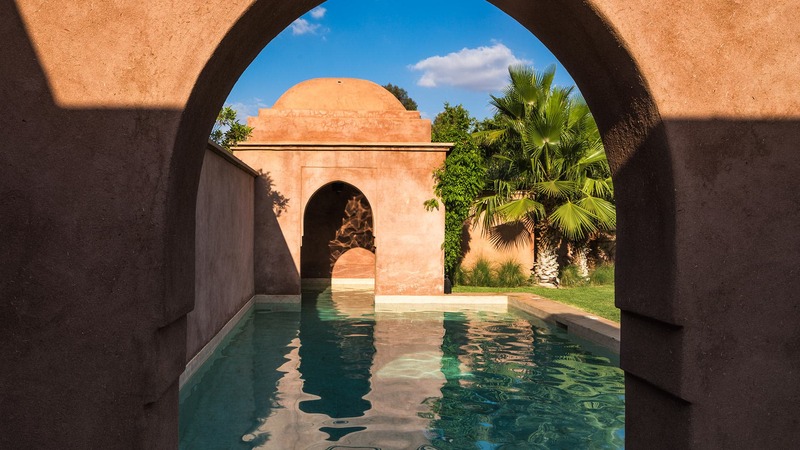 Built within a 2.4m high privacy wall perimeter, we have the largest garden of the domaine de l'Akhdar featuring a 14m private swimming pool complete with covered 'bathing kiosks'. Available to rent throughout the year, it also features discreet staff and a personal cook (on request).